This is definitely cool, but kind of limiting. 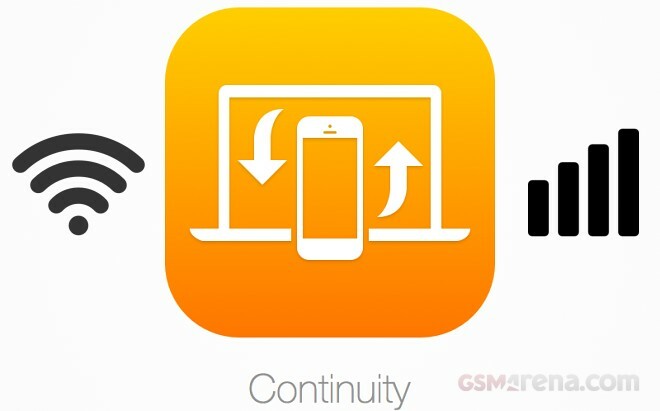 With iOS 9, Apple has extended the feature and your iPhone no longer needs to be connected to the same network as your other Apple tech for Continuity to work. In fact, your handset doesn’t even have to maintain a Wi-Fi connection, as the system now works over any stable data connection. The new Continuity experience is already available in the current iOS 9 developer beta and, at the moment, is supported by T-Mobile. Other carrier are sure to follow in adopting the technology pretty soon. The update also comes with a few new settings, like the ability to select witch specific devices will receive your calls and messages, as well as “Allow calls on other devices” feature. And additional benefit to the new Continuity model is that is now allows you to use the feature along with the network’s Wi-Fi calling feature, at the same time, which wasn’t possible with iOS 8. 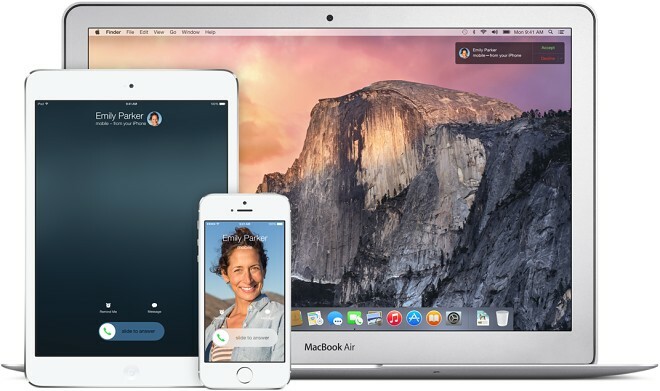 Continuity itself, however, doesn’t require Wi-Fi calling to be enabled, as the network only uses your Apple ID for authentication. Exciting news for those of us, who just can’t help forgetting our phones all the time.